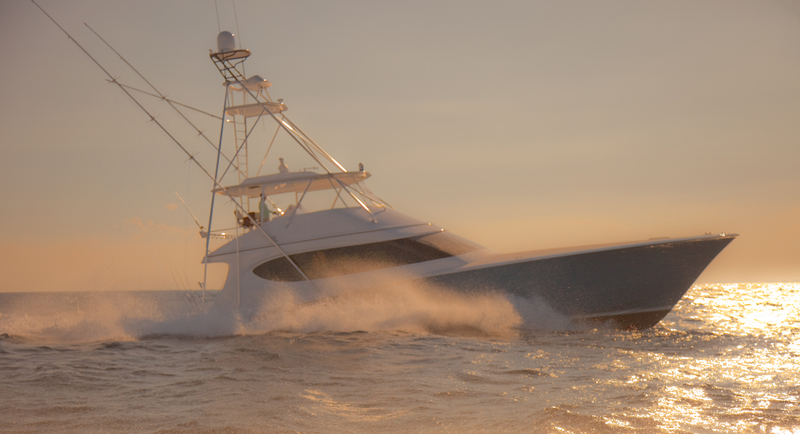 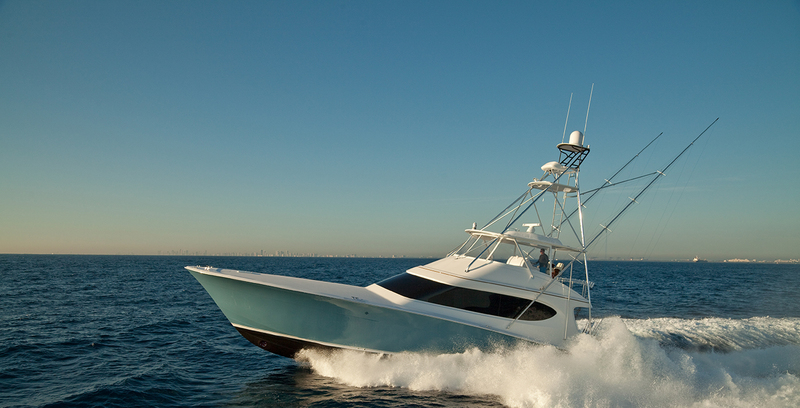 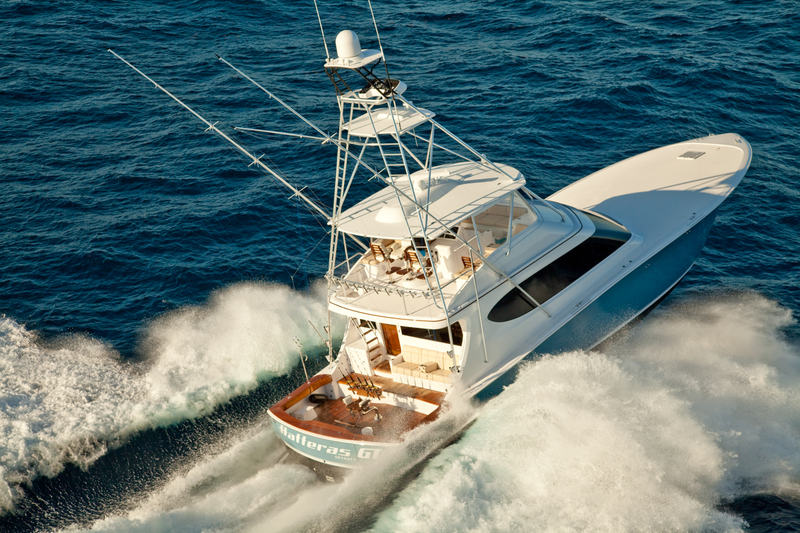 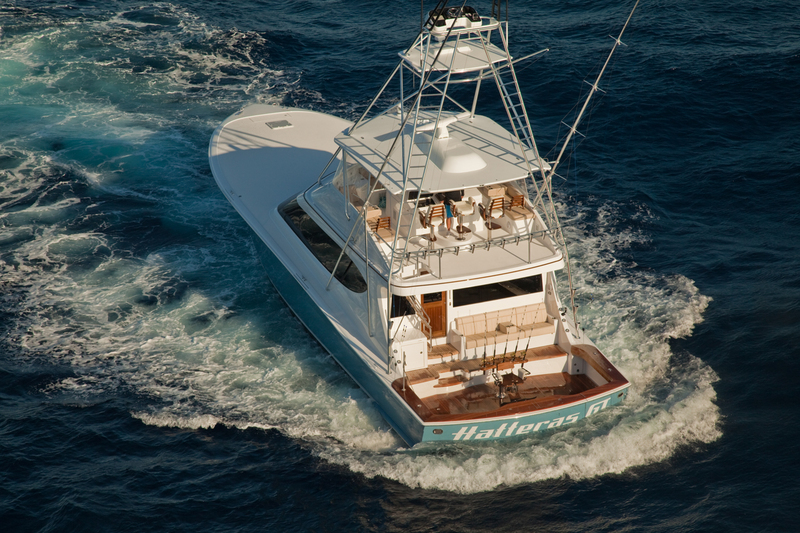 The name says it all – luxury sportfishing yachts charters are designed so that you can catch big game fish in style and comfort. 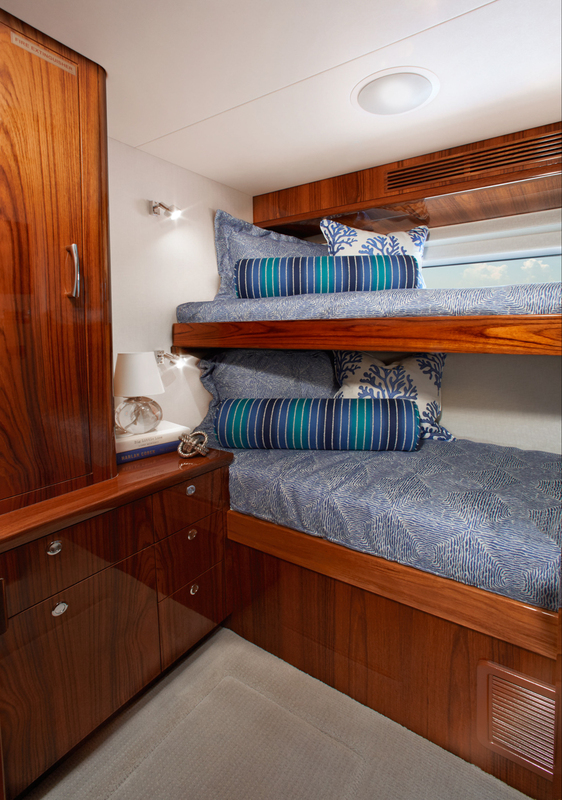 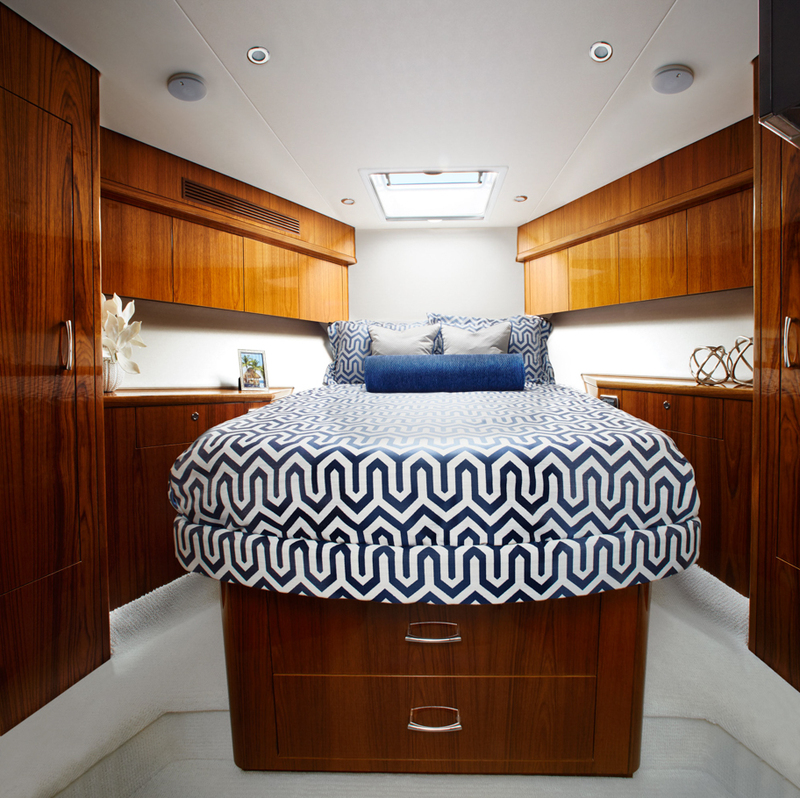 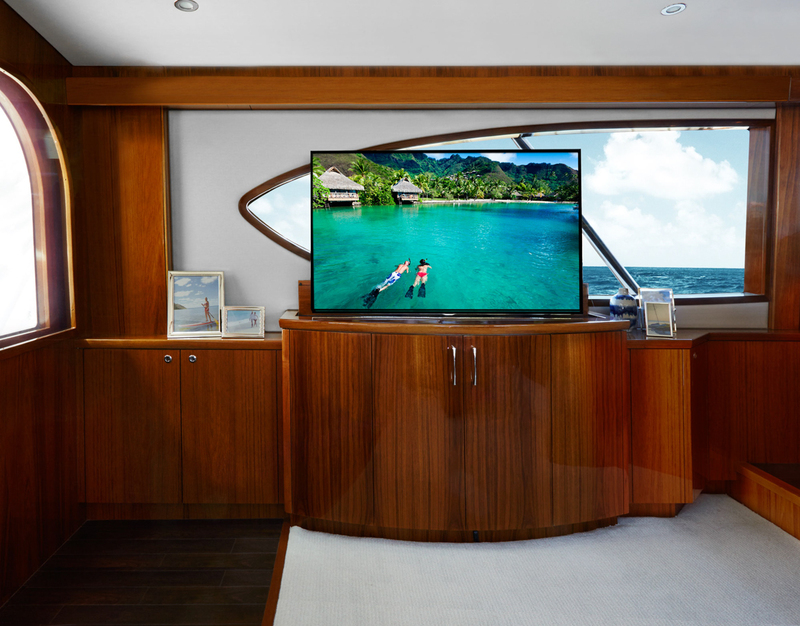 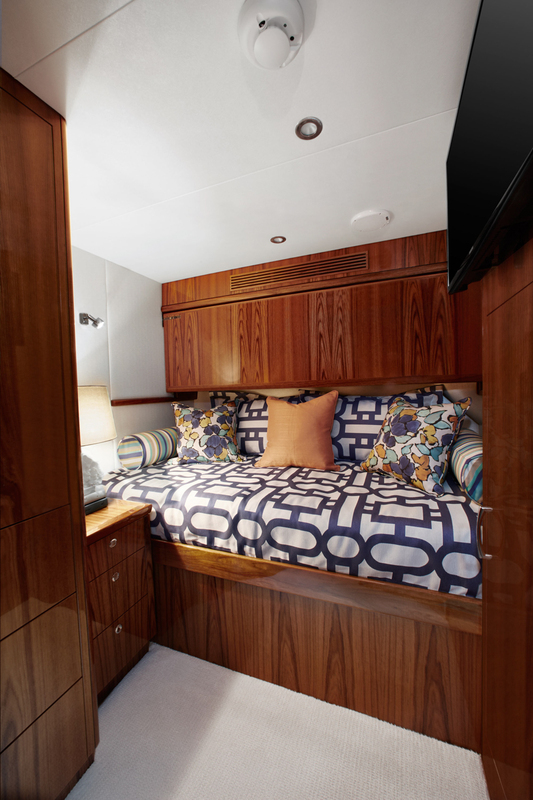 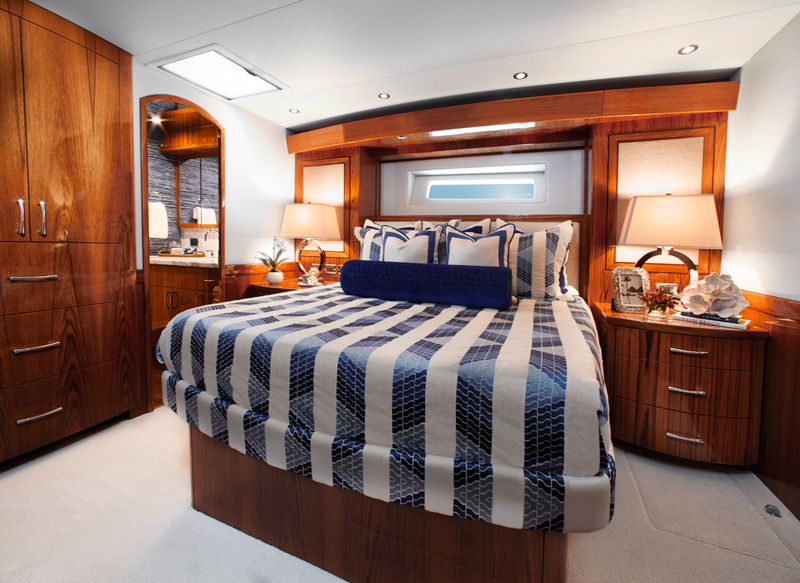 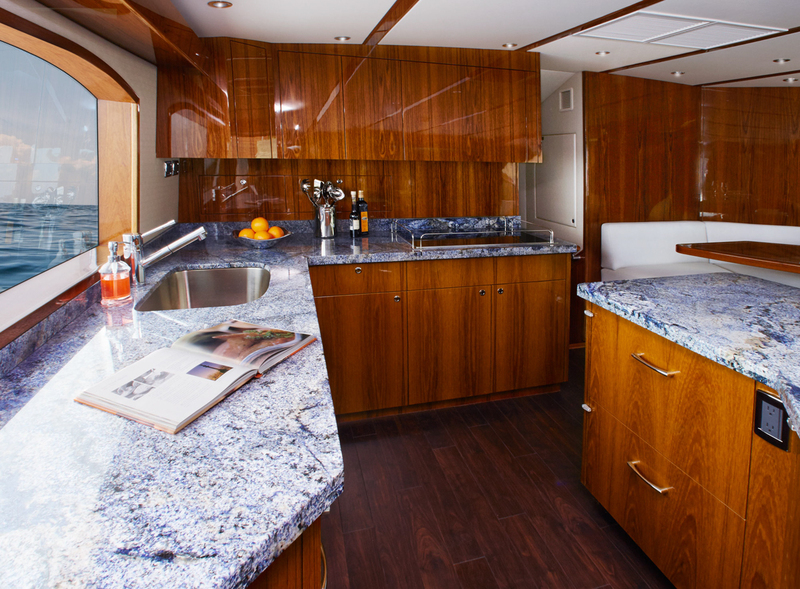 Your elite fishing machine is also a first class floating hotel with luxe accommodations and service. 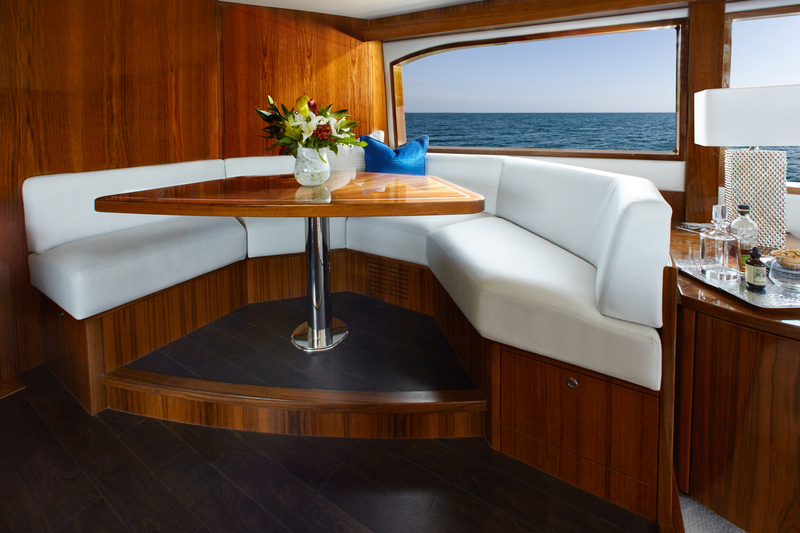 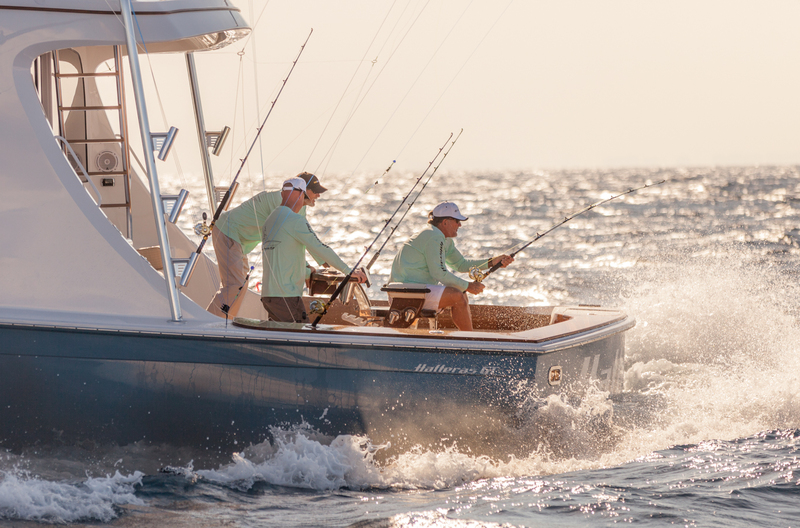 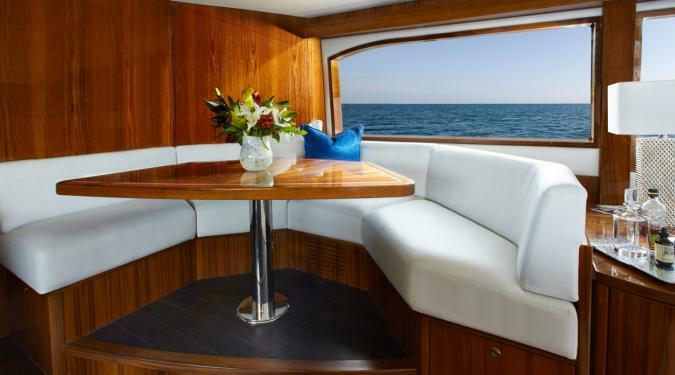 Spend all day duking it out with tarpon and marlin, and spend your evenings relaxing in a cushioned salon, sipping wine and enjoying an exquisitely prepared “sea to grill” meal. 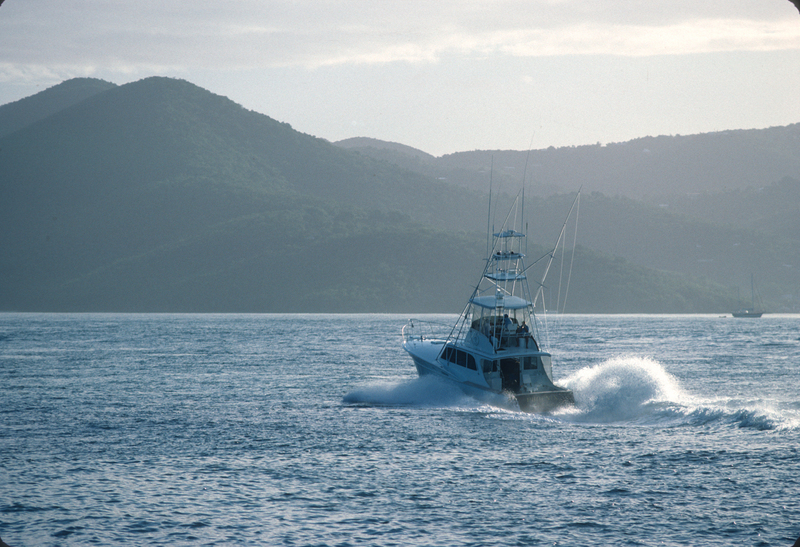 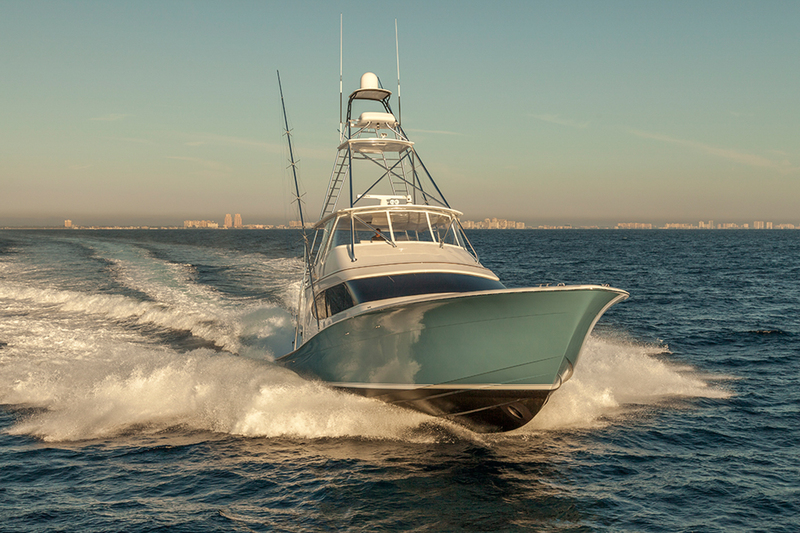 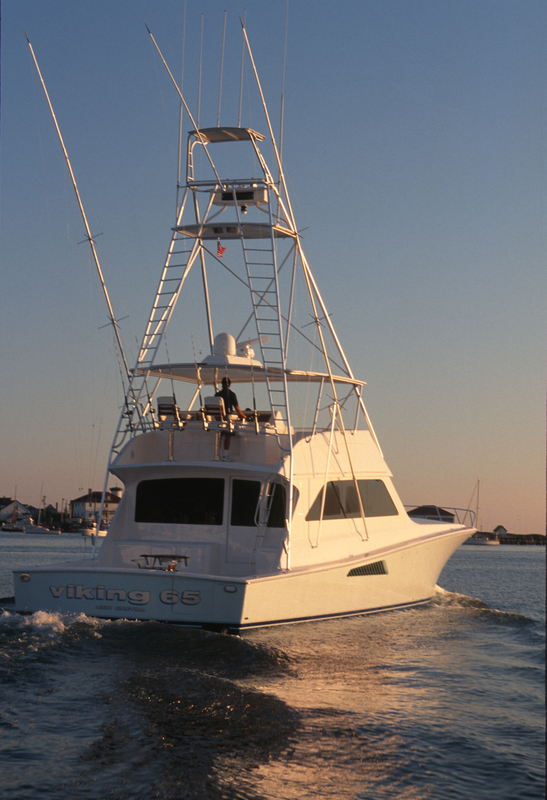 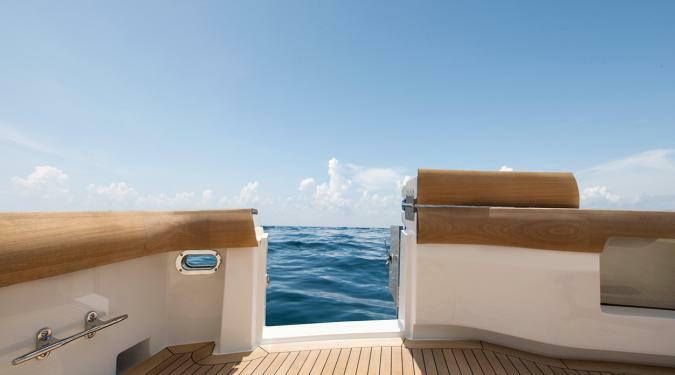 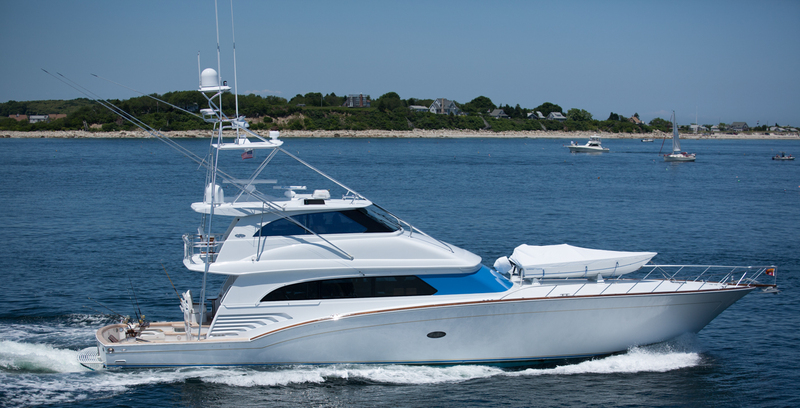 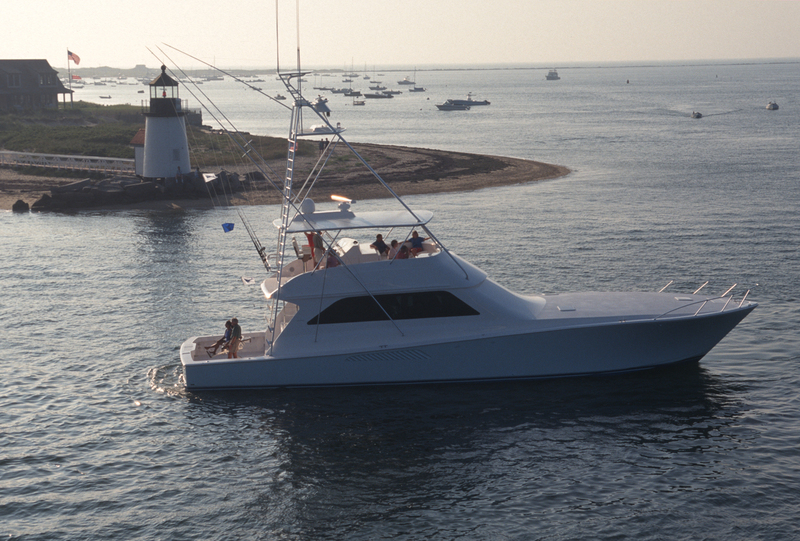 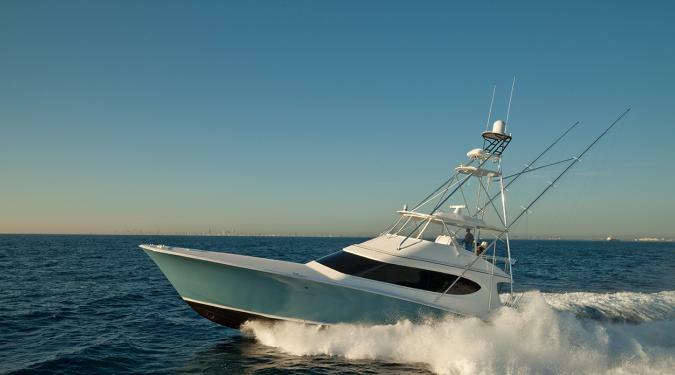 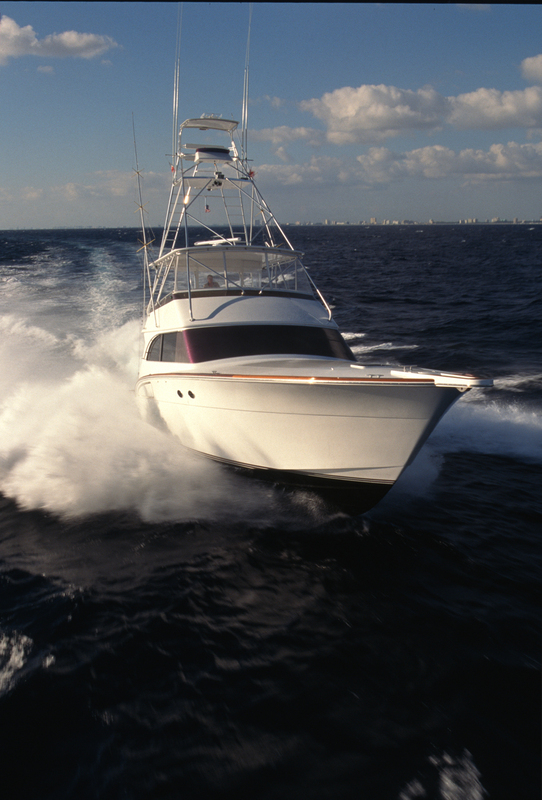 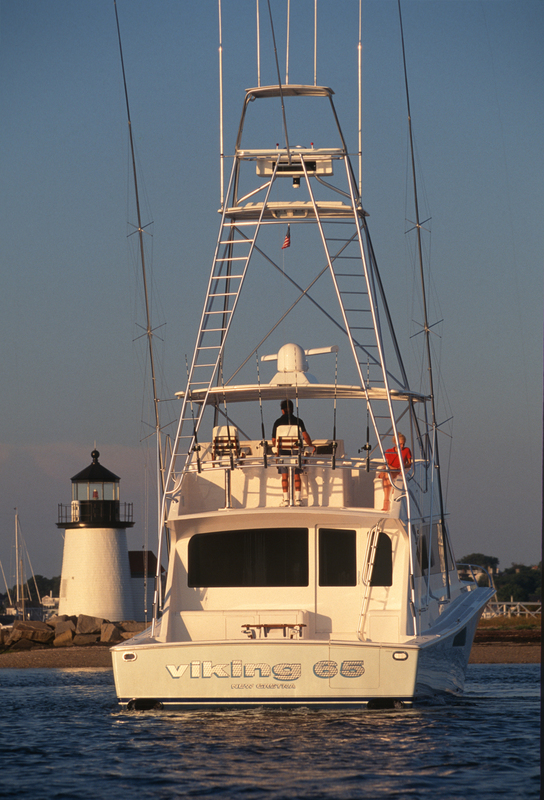 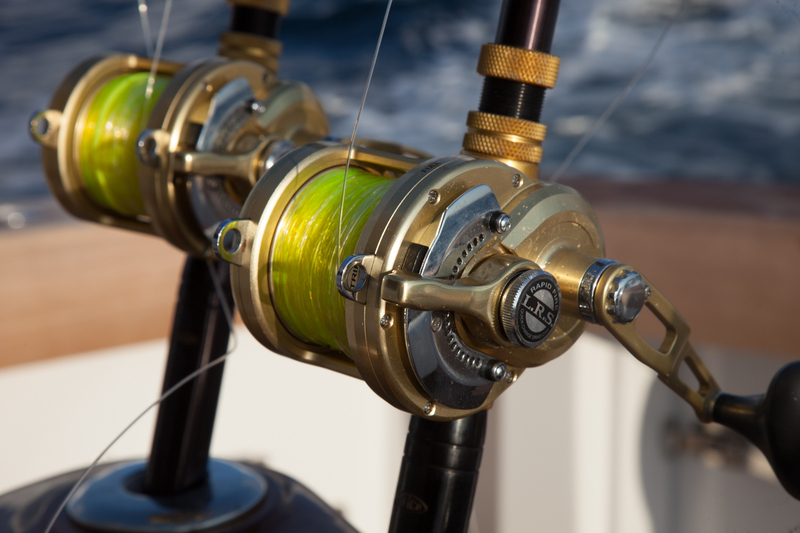 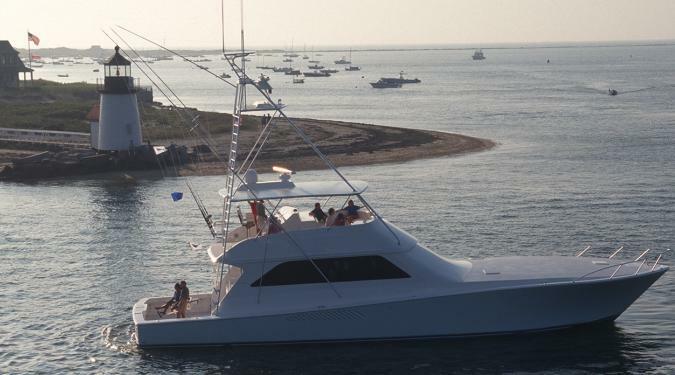 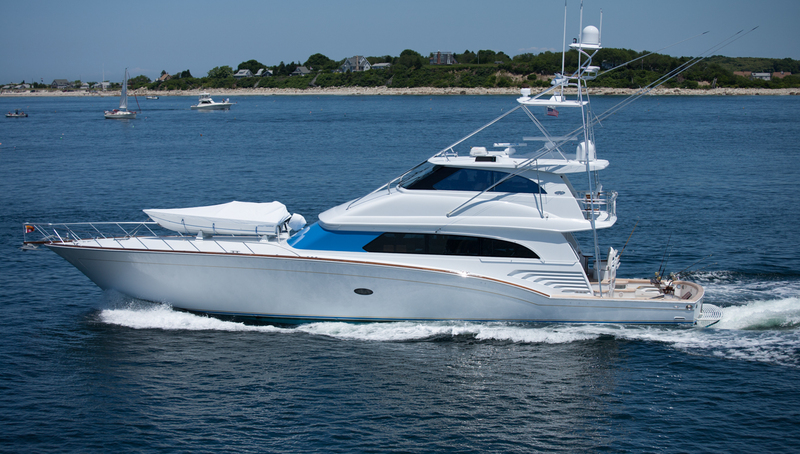 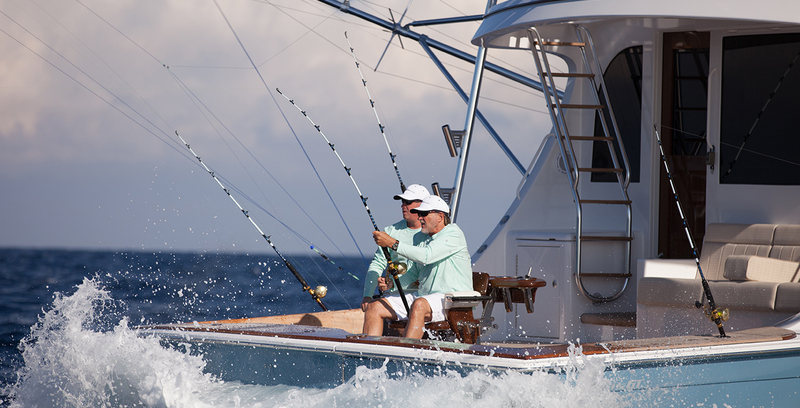 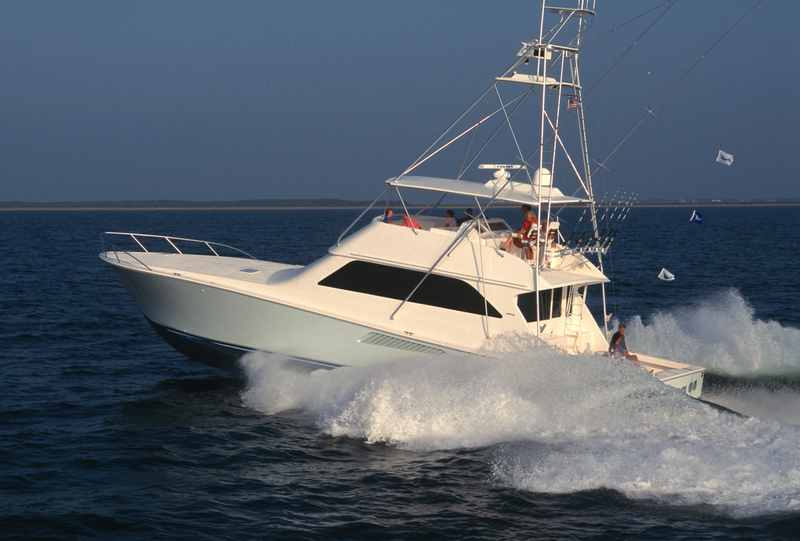 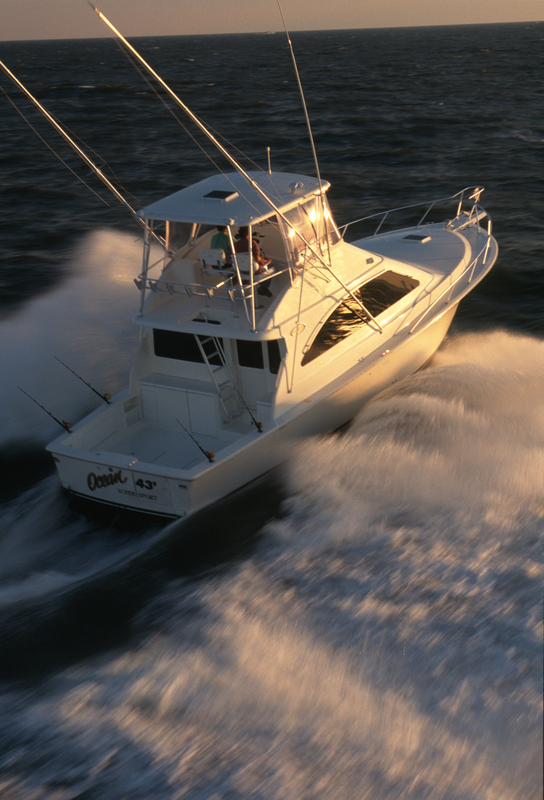 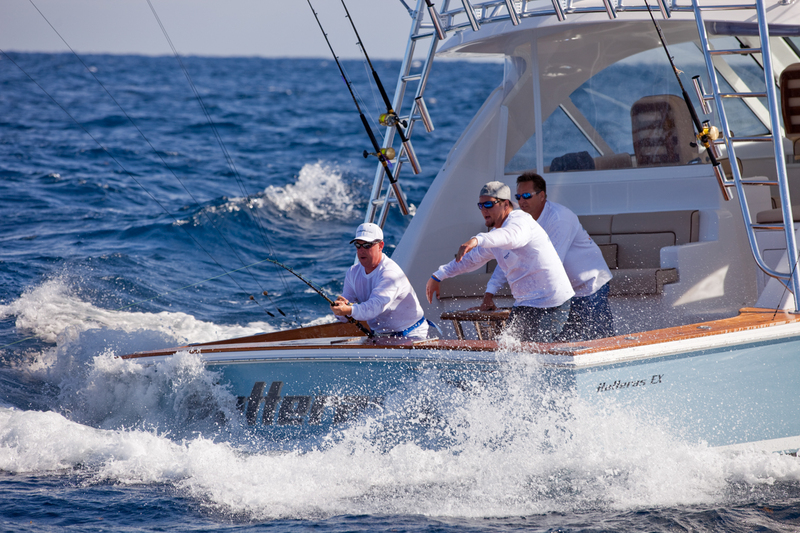 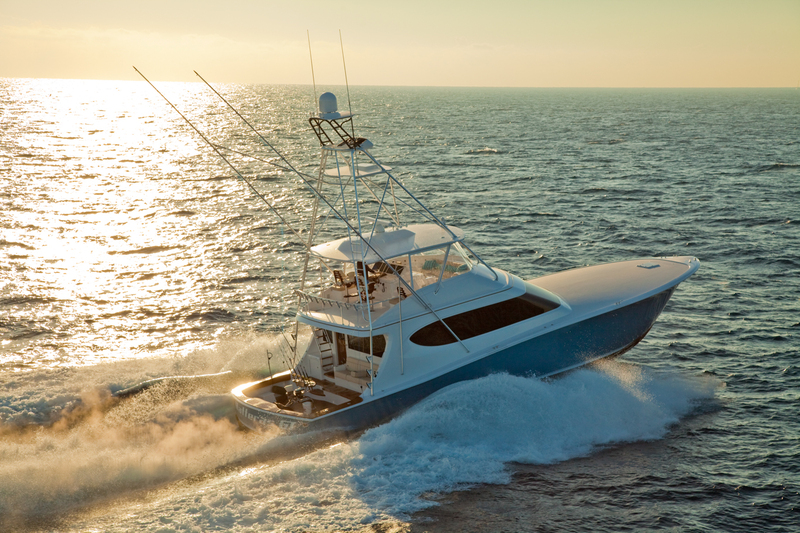 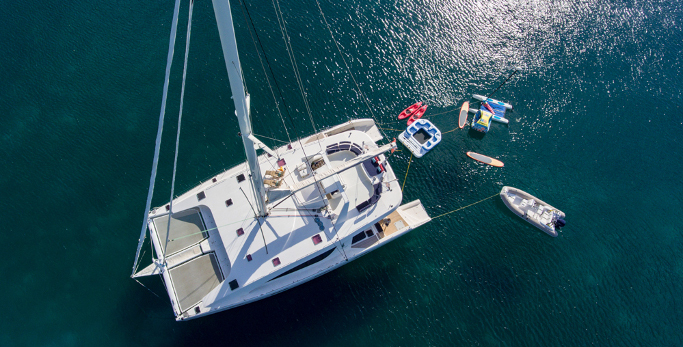 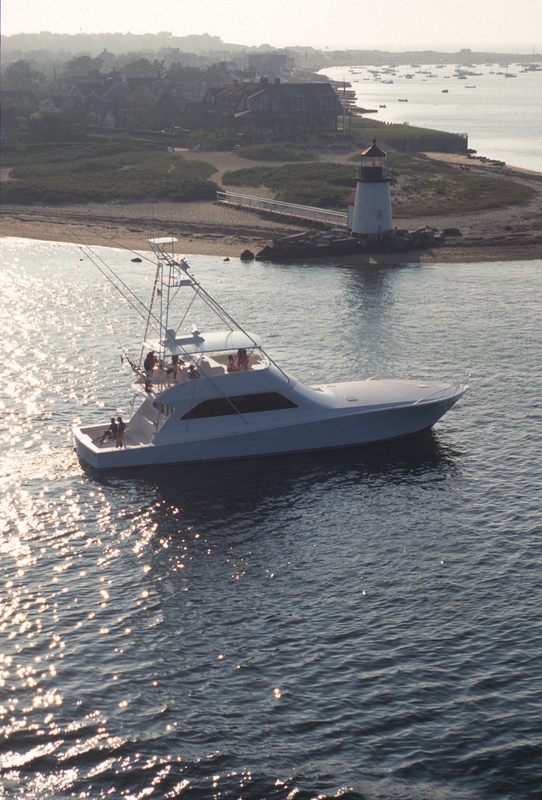 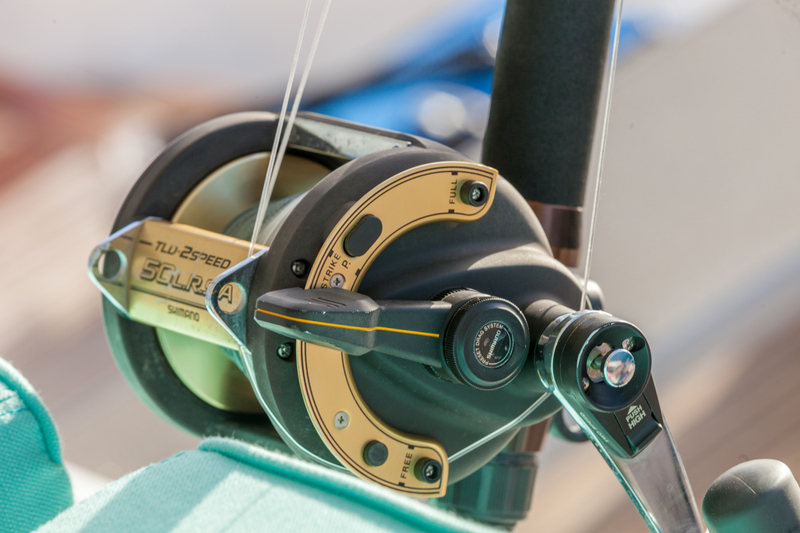 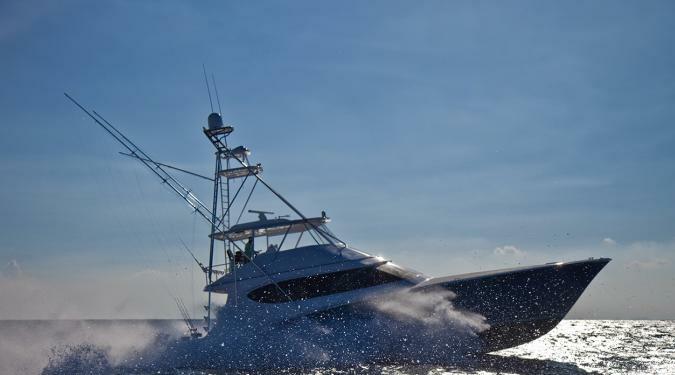 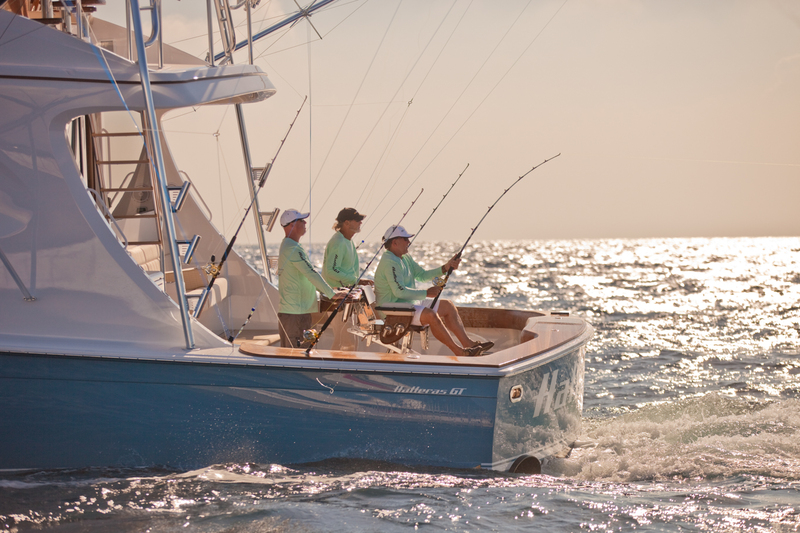 Although many of our superyachts offer sport fishing from their towed tenders, a sport fishing yacht charter is dedicated to big game fishing with fighting chairs, live bait wells and an arsenal of outriggers, rods, reels, tackle, lures, and such. 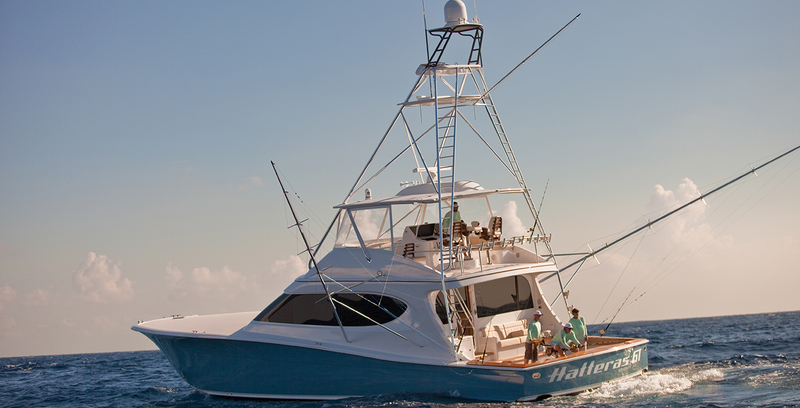 Most importantly, our Bahamas fishing charters are staffed with a captain that knows where to find the fish and a mate that knows how to assist you in hauling it in. 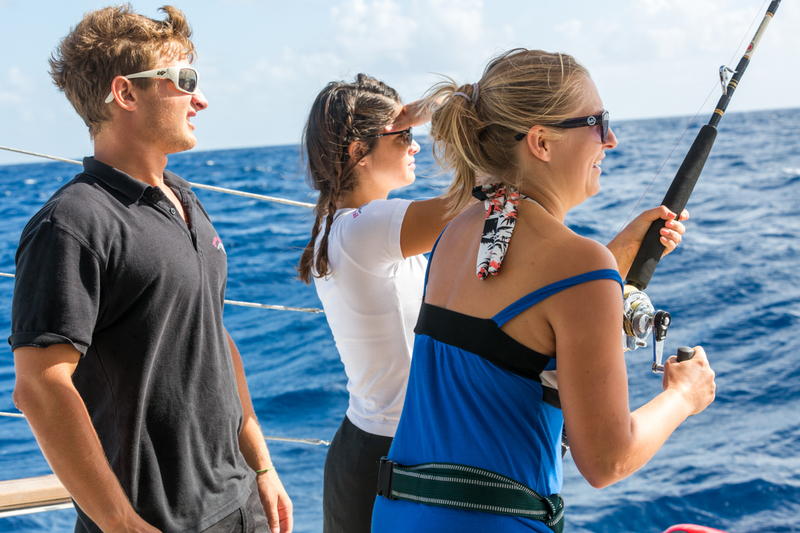 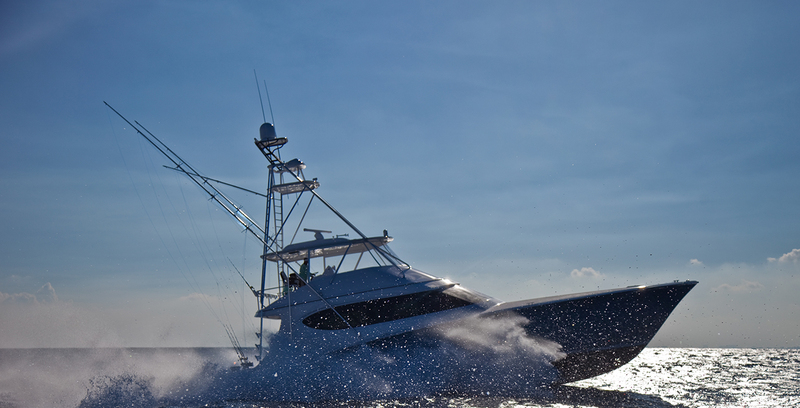 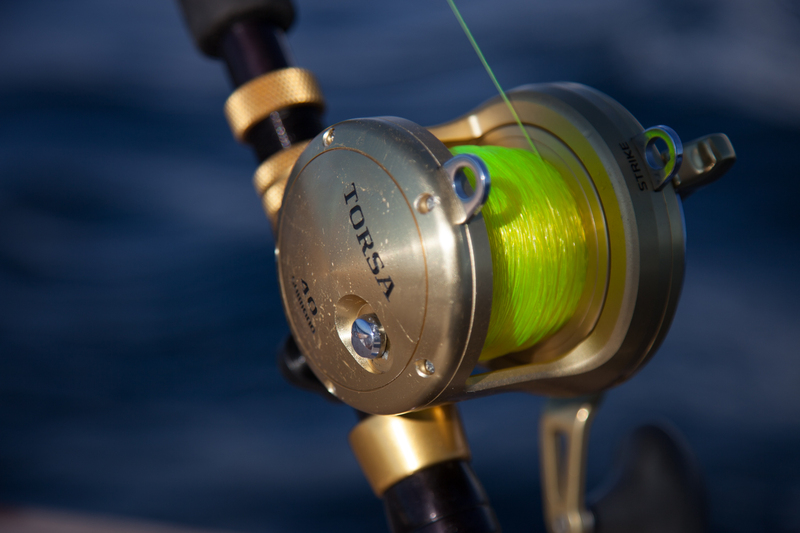 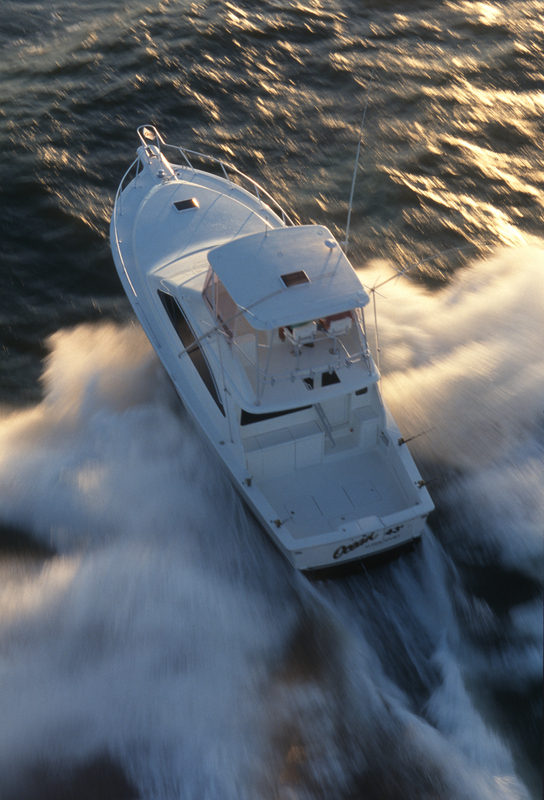 If all that everyone onboard wants to do is fish, fish, fish – then sport fishing charters are for you. 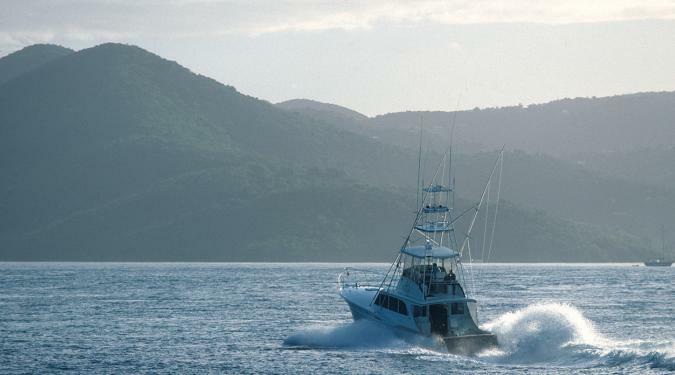 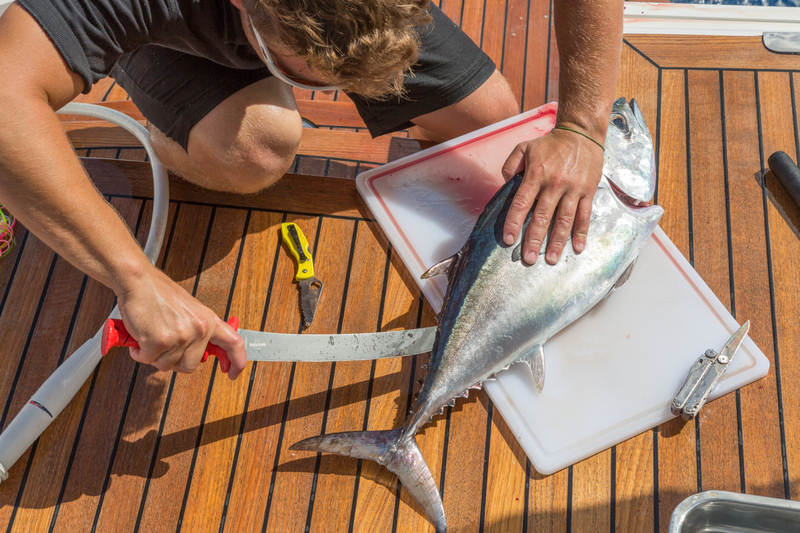 If you want to fish just some of the time and have friends and family onboard that want to enjoy other activities, then we recommend chartering a motor yacht or super yacht that is well-equipped for fishing but has a complement of other toys and activities. 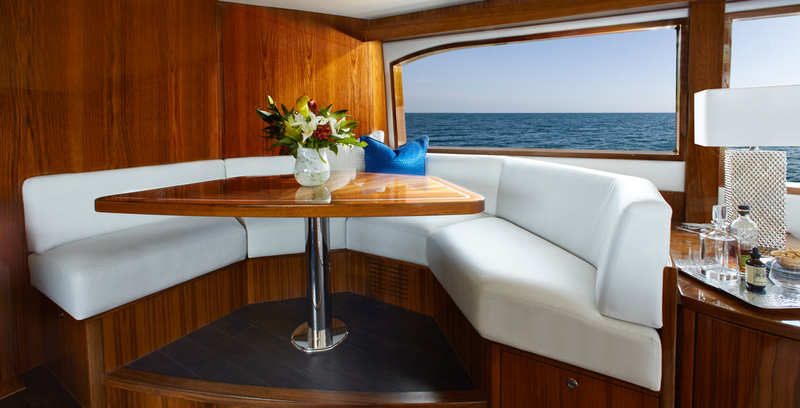 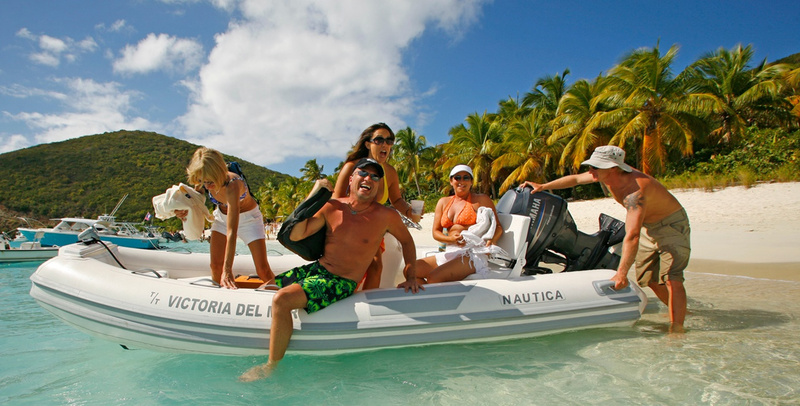 You can sneak away on the towed tender and fish to your heart’s delight while your non-fishing companions can relax on the yacht, enjoy the spa, explore ashore or play with the yacht’s toys. 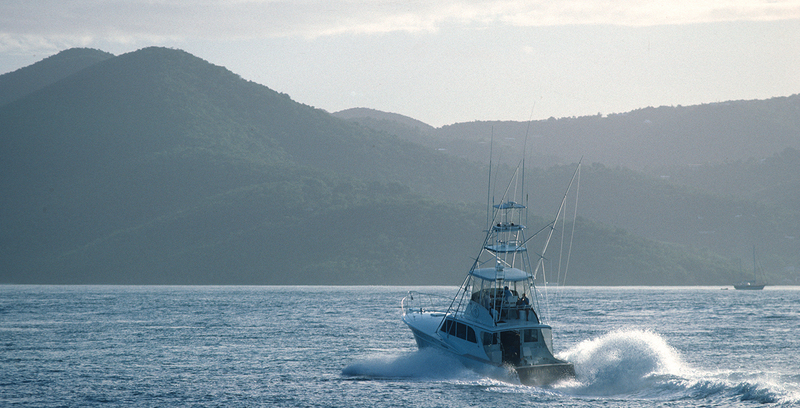 What’s the best destination? 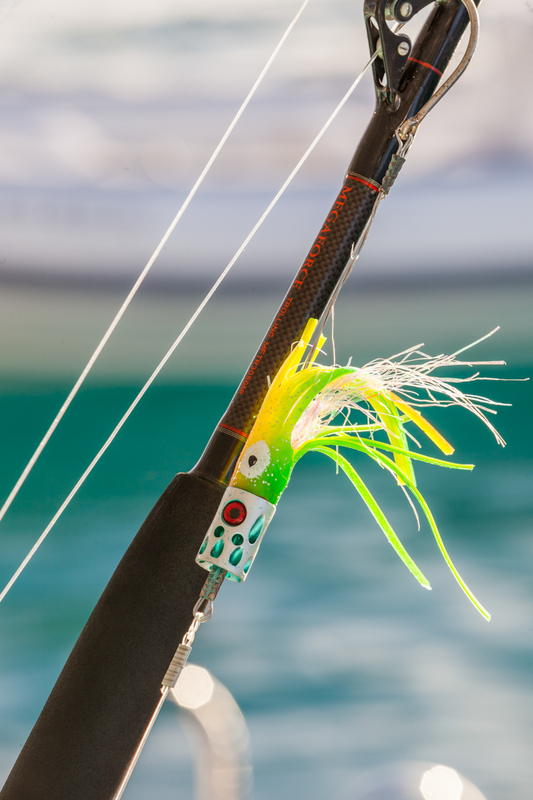 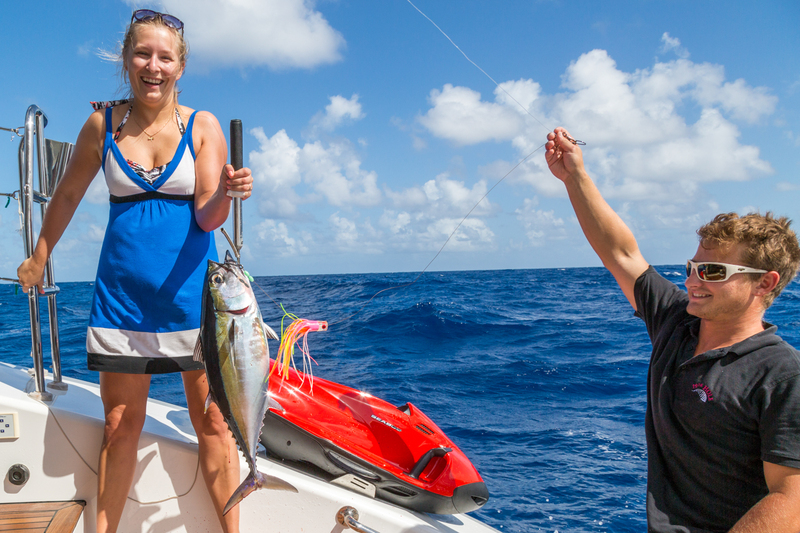 Although we have sportfishing charters throughout the world, Bahamas fishing charters are close to home (if you are from the U.S.) and the “catching” is world class. 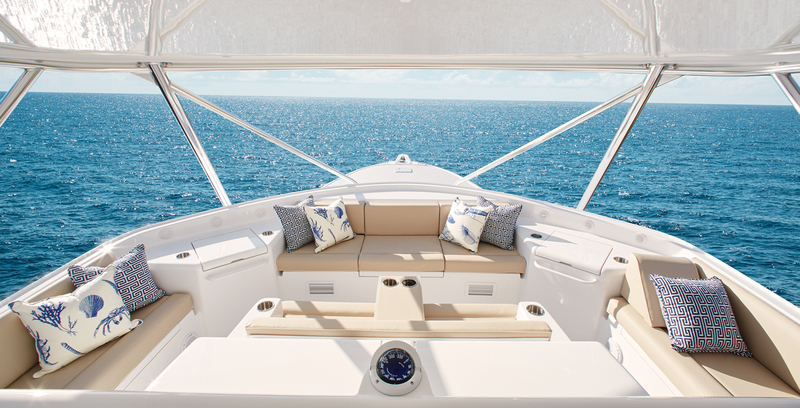 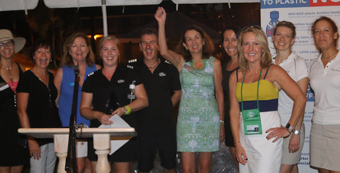 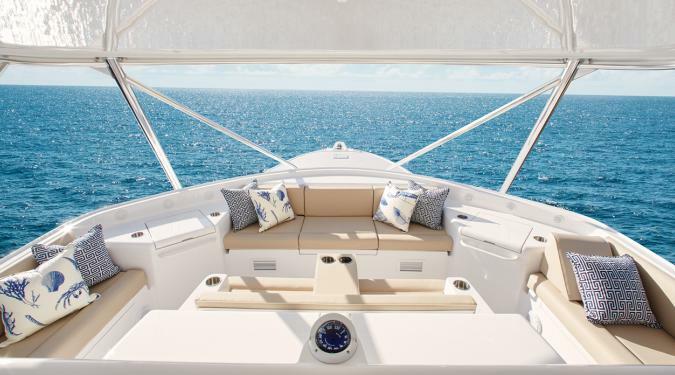 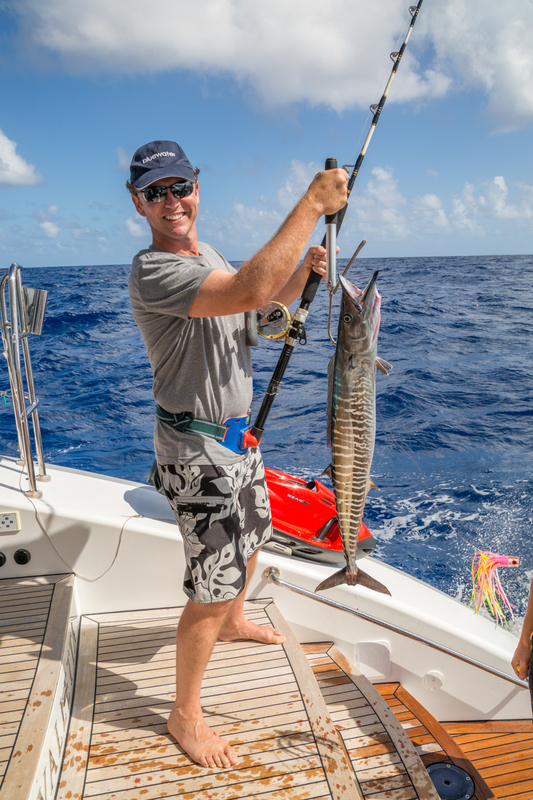 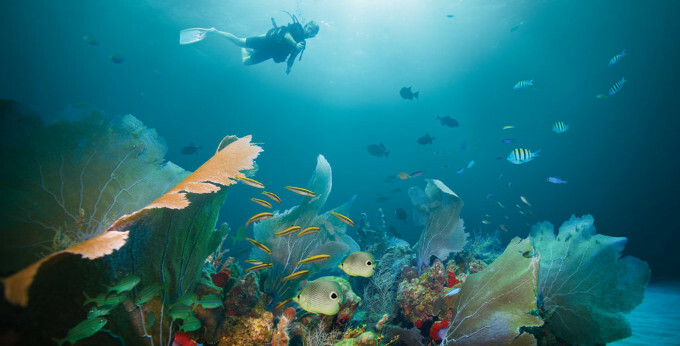 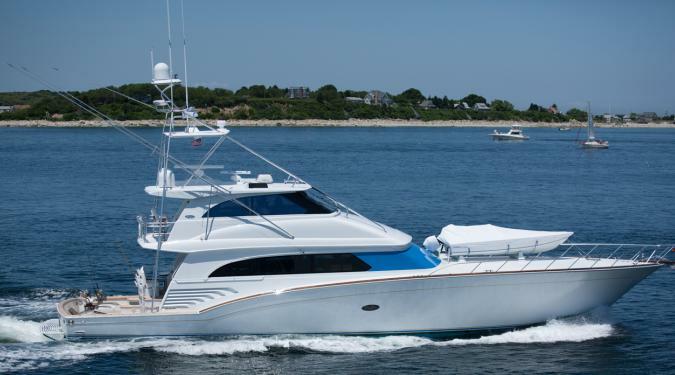 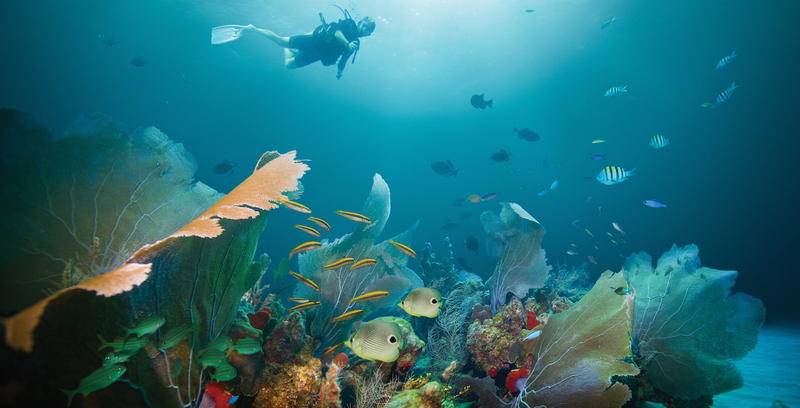 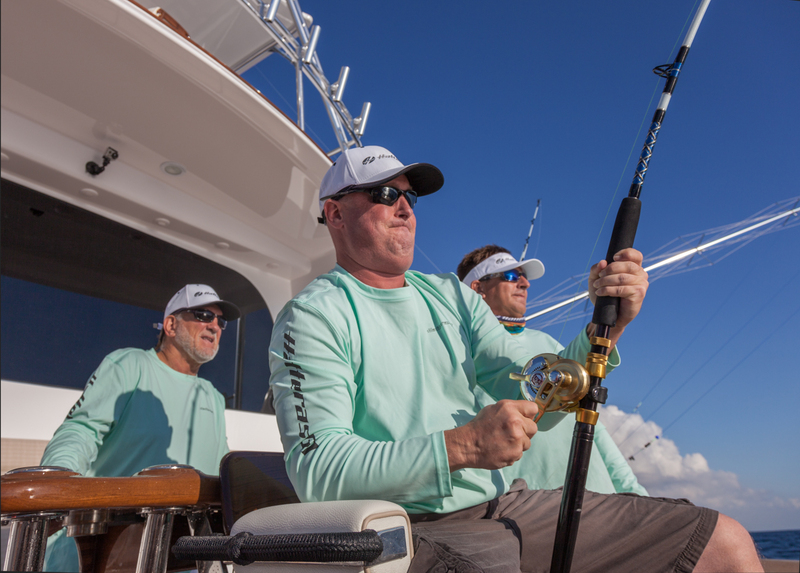 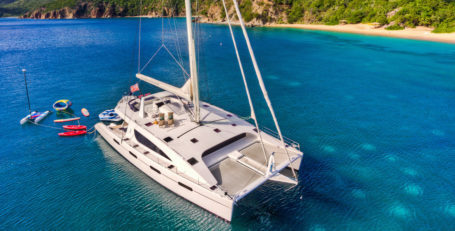 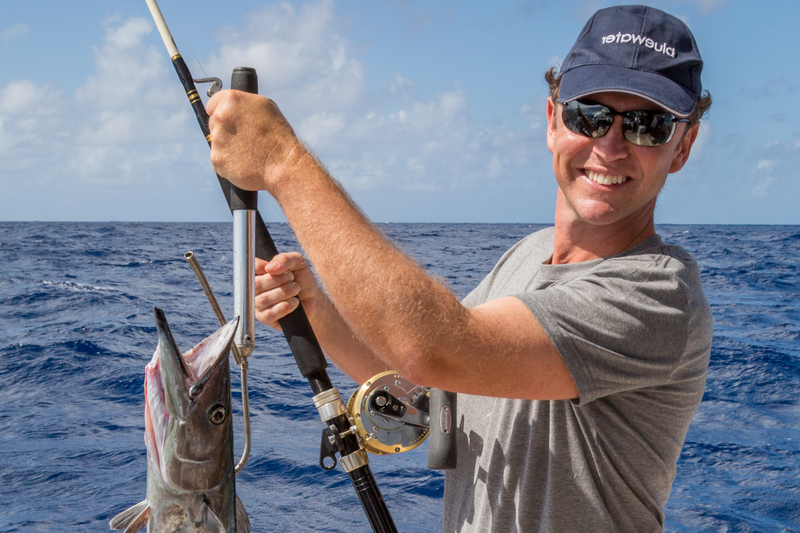 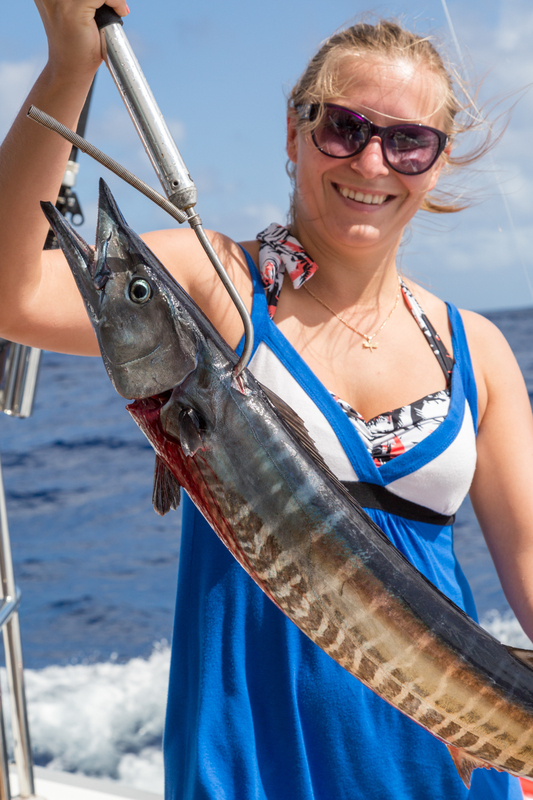 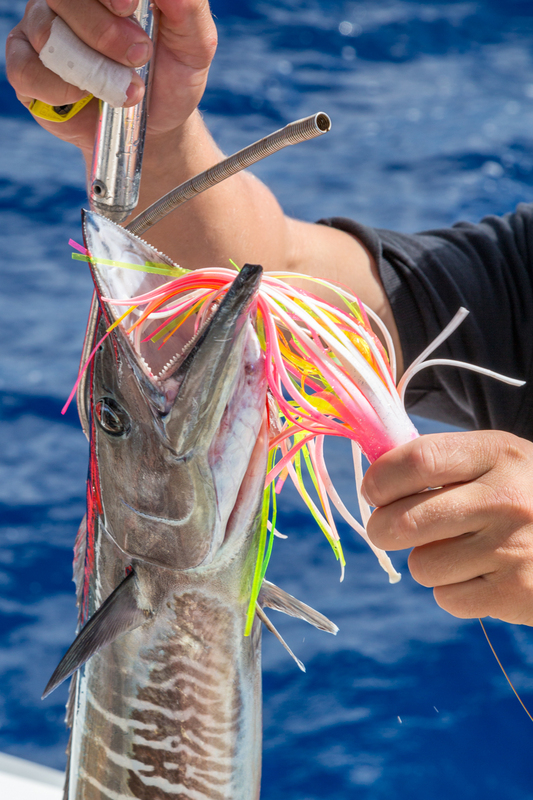 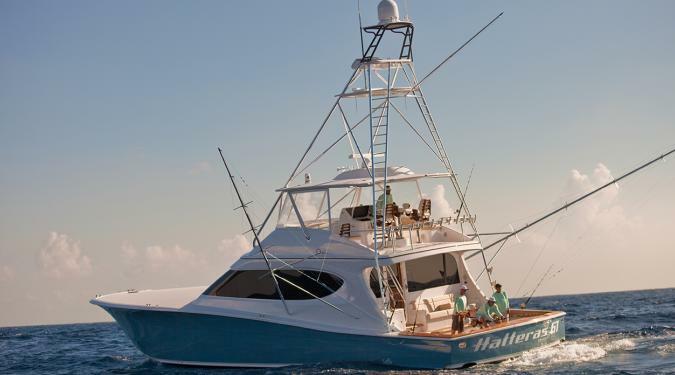 Whether you want to explore pristine fishing grounds in far flung corners of the world or participate in a local Bahamas fishing charter tournament, Ocean Getaways will help you find the perfect sportfishing yacht charter. 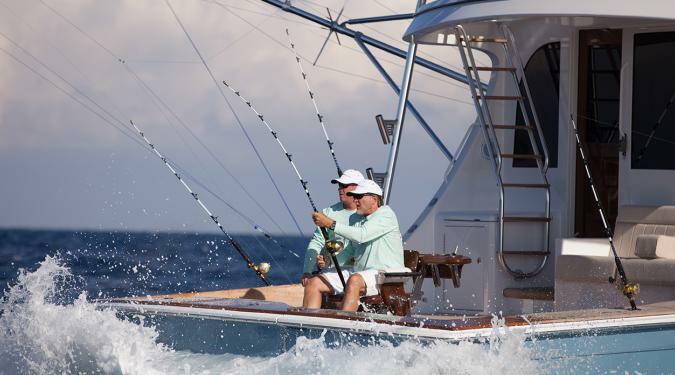 The perfect choice for avid fishing enthusiasts who want to share a luxury vacation with their friends or family while remaining centered around their favorite past-time. 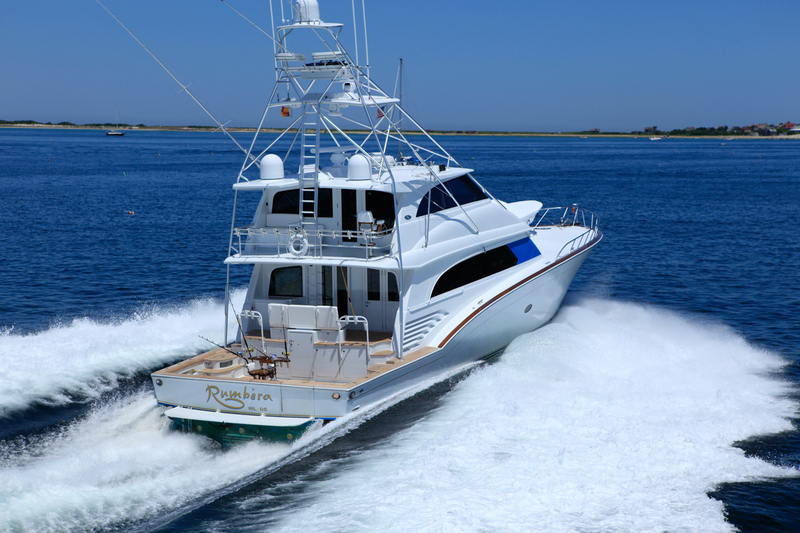 Chartering a motor yacht with a towed sport fishing tender as well as a complement of other toys truly offers something for everyone. 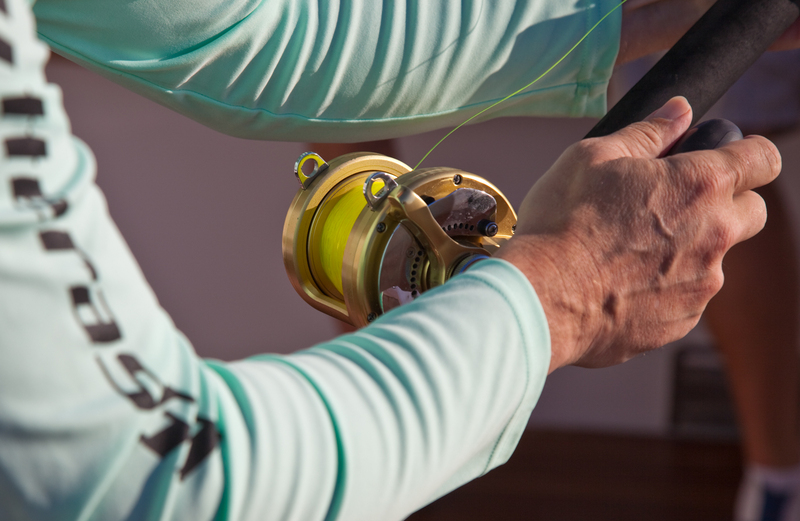 You fish to your heart's content while all the other guests are thoroughly entertained. 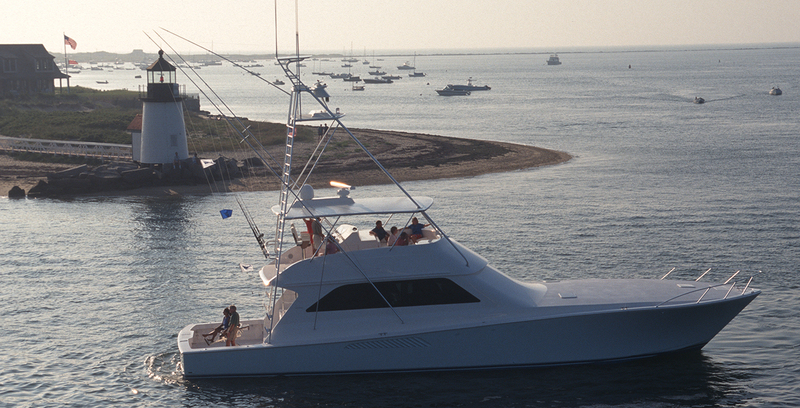 A Typical Example of a Sportfishing Yacht Charters Deck Plan. 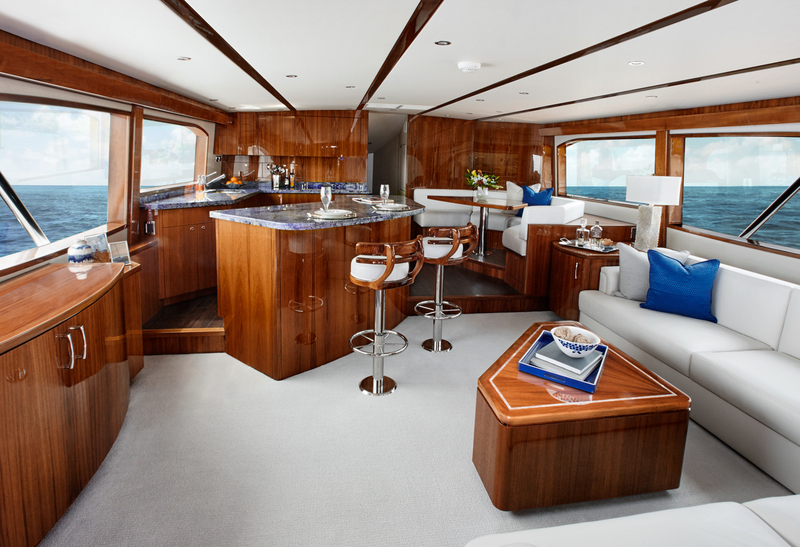 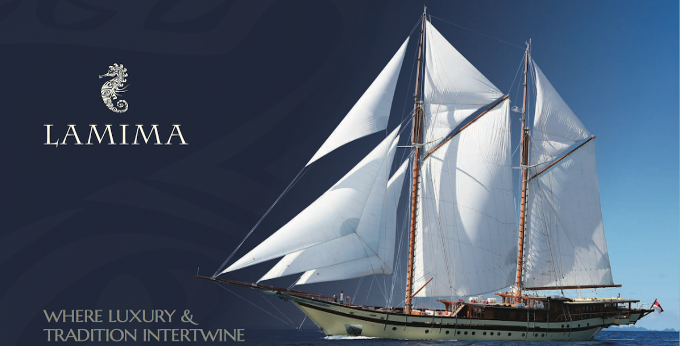 Deck Plan shown is for the yacht named Mea Culpa, a 130 foot yacht built by McMullen & Wing in New Zealand.